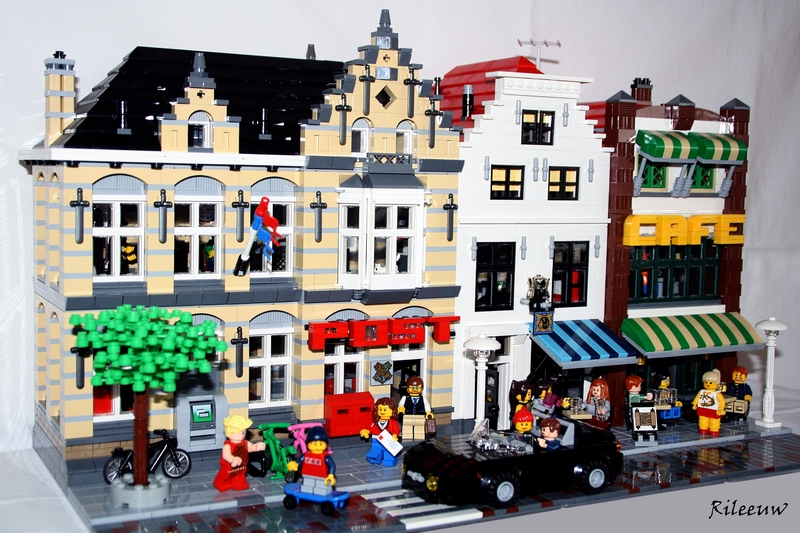 Brick Town Talk: Block Party - LEGO Town, Architecture, Building Tips, Inspiration Ideas, and more! Goes, The Netherlands - (BTT) The work week is finally over and the people on this street are ready to make the most of it. Three buildings comprise the block, each unique in both form and function, and each teaming with activity. These are not just beautiful facades mind you - take a step inside the post office, apartment building, or cafe and prepare to be blown away by the level of detail found within.